With 4+ million active installations and a 4.5-star rating, there is no other WordPress plugin as popular as WooCommerce. This is a complete package that you can add to all sorts of WordPress eCommerce stores, for selling both physical and digital goods. Hundreds of free and paid extensions provide a variety of functions. – It comes with the support from hundreds of extensions and themes purposely built for WooCommerce based stores. Store owners can easily adopt it and add new eCommerce features to their websites. – You can use the plugin to sell both digital and physical goods. Many other plugins lack this feature, but this one doesn’t. – Through it you can also add affiliate or external product functionalities to your site. – The WooCommerce plugin comes with tools that make the management of inventory easy. It also provides inventory task support for store managers. – This plugin supports all popular payment gateways. More can be done by using extensions. It can also calculate shipping charges and taxes. – It’s easy to use right from the start, as it has a rich documentation available that helps a store owner or WordPress developer almost effortlessly adopt and apply it to a store. Easy Digital Download (EDD) is one of the best plugins available for adding eCommerce features to a WordPress website. It’s a lightweight plugin which comes with all features required to sell digital products online. Dozens of extensions can be used to enhance your store and add the desired functionalities to it. WooCommerce also lets you sell digital products, but it comes with several other features that you might not need; particularly for a digital product storefront, like shipping. EDD’ selling process is smooth. When a customer buys a product from your website, the system sends an email containing the download link. – It’s the best plugin available in the market for selling digital products, like eBooks, PDFs, audio, video, images, etc. It doesn’t include any of the features required to sell physical products such as shipping, etc. – It has a library of dozens of add-ons that can be applied to enhance the functionality of a store. These add-ons help a store owner or a WordPress developer devise more advanced features. – It comes with several payment gateway options that you can choose from. – The core plugin comes with a free number of features which are sufficient for an average business or for artists selling digital products. – Advanced developers use EDD as well. They can take advantage of the RESTful API for full control over customizations. – The plugin is also supported by a large community of bloggers, developers, and enthusiasts. It means there is no shortage of documentation and guides helpful in solving problems. – The core plugin comes with a full shopping cart, customer management scheme, discount codes, and data reporting tools. You also receive tools for refund, tracking, affiliate systems, mailing lists, and more. If you are looking for a close alternative to WooCommerce, there is no plugin better than WP eCommerce. It comes with features quite similar to WooCommerce. The plugin is available for free with core features, but if you want more advanced features, you can buy add-ons from the plugin’s store. The store also sells a Gold Cart extension which is like a premium version of the plugin. The Gold Cart can be bought for as little as $99 for a single site. Once you have the Gold Card extension enabled, your WordPress WP eCommerce plugin has features like search, premium payment gateways, and a grid view of product galleries. – This plugin is the best tool for those who cannot imagine setting up an eCommerce store without the support of professionals. – WP eCommerce can be used to expand your eCommerce website with add-ons. These add-ones provide the desired flexibility and you pay only for the features you want, not for all of them. Also, your dashboard looks cleaner and it’s easy to understand. – It comes with several out of the box features allowing you to build a beautiful online store from the scratch. – It supports tons of different payment gateways. If you want to sell subscription-based digital products/services on your WordPress website, the best recommended eCommerce plugin for you is MemberPress. It’s a fully-featured plugin that allows you to start charging users that want access to your digital goods. – The plugin can easily be integrated into existing WooCommerce powered WordPress-based eCommerce websites. – You can manage members by granting and revoking their access to your digital products or services. – You can control your product inventory in a better way. – MemberPress supports several payment gateways like PayPal, Stripe, and Authorize.net. – Also, by using MemberPress and some necessary extensions, you can create forums and social communities on your stores. Jigoshop eCommerce has been here for WordPress since 2011. So, all the currently available WordPress plugins for eCommerce have, in fact, been inspired by this plugin. It’s an open-source plugin and it’s available for free to the public. Jigoshop also gives themes provided by Jigoshop itself and third-party developers. Also, it has its own extension store similar to that of WooCommerce. – The latest Jigoshop eCommerce plugin has been completely replaced by a cleaner and faster plugin, which is definitely worth giving a try. – Jigoshop eCommerce is open-source which means it’s customizable, and businesses of all sizes can use it. – It has also provided a theme store that has beautiful and affordable templates for diverse industries. – The Jigoshop eCommerce extensions are way cheaper compared to WooCommerce’s extensions. – Being the oldest eCommerce plugin, there is no shortage of documentation for it. When you use Cart66 Cloud, you do not need lots of add-ons for the plugin to work and provide functionalities. The plugin comes with most of the eCommerce features built in. It’s easy to configure compared to other plugins. But the plugin is currently not accepting new accounts. The core plugin is free, but if you need advanced features, you can buy the premium version for $49 per month. – It has one of the best customer support teams. – It comes in two versions: free and paid. – Because it has built-in features, you don’t depend on different extensions. – The development work is completed by the Cart66 team behind the scenes. – It provides stronger email marketing compared to its competitors. – It can be applied for both physical and digital products. – It supports more than 100 payment gateways. – You do not need to add extensions for contract restrictions, recurring payments, and subscriptions as they come integrated in the plugin. Shopp is one of the most flexible and secure WordPress eCommerce plugins already running successfully in thousands of online stores. Shopp was initially launched as a premium plugin in 2008, but now it’s available for free. Also, it’s developed by a volunteer community and it functions as a solid e-commerce plugin that responds to WordPress eCommerce requirements. – It uses separate tables in databases which improve page load and queries speed. – It can be applied to sell multiple product-types like physical, digital, and virtual products. – It also provides support to sell products/services based on a subscription payment model in which payment recurs after a certain period of time. In most of the cases, WordPress’ default search does not deliver the best results. It will not show what customers are looking for. This is because the built-in search function is too simple and basic. But you can add the advanced search functionality to your WordPress-powered eCommerce website through the Relevanssi plugin. 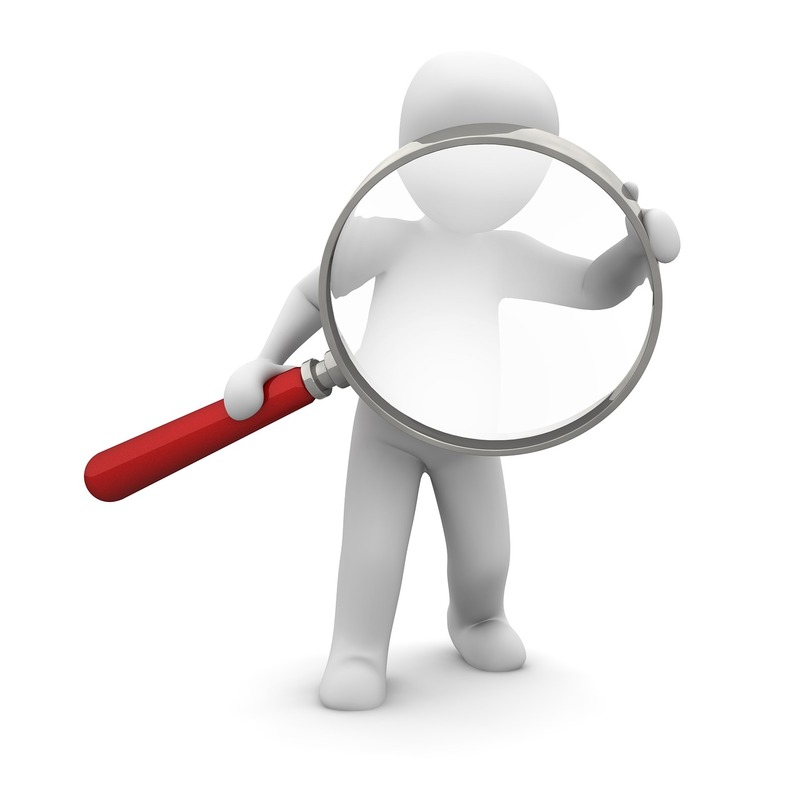 – It replaces WordPress’ native search function with the advanced search. – It delivers relevant results, which in turn, increase the chances of selling more. – It comes with the functionality of limiting searches only to specific products or pages. – Using it is simple, easy, and it makes a site more user-friendly. Ecwid eCommerce Shopping Cart is a complete shopping cart plugin for WordPress-based eCommerce websites. It comes with everything that you need to add to your online store. It’s a powerful, easy-to-use, and Gutenberg-friendly plugin. With more than 1 million sellers in 175 countries and support in 45 languages, the plugin provides payment options through PayPal, Stripe and 40 others. It also allows selling on Instagram and Facebook. – It comes with automatic shipping and taxing tools that can easily be integrated in just a few clicks. – Ecwid also allows selling on Facebook by adding your online store to social media platforms. There are no other add-ons required to do this. – The shopping cart plugin also comes with a free mobile app for both Android and iOS, so that you can manage your store even if you are on the go. – The plugin stores data on secure servers regardless of the hosting service used by your WordPress website. – The plugin has the PC DSS Level 1 certification, which is a globally gold standard eCommerce solution. – It allows you to include an eCommerce store on multiple websites, blogs, social sites and eCommerce market places, like eBay, Google, Amazon, etc. – If your website also has a mobile optimized theme, the plugin comes with the best support for it. With iThemes Exchange, your store can create multiple selections for your product store page, including grid and list view selections, data selections, order by functionality, and pagination. You can also add product-category pages, products per page, and a lot more. – You can set default view, list view, grid view, etc. You can add numerous columns in a grid and padding between the items. – You can add pagination with the Previous and Next page functions after a certain number of products showing up per page. – You can select one, more, or all categories or types of products. – You can also set a default order sort for products. You can set them by date, price, name, and much more. Author Bio: Sofia Coppol is the technical writer of Rapidsoft technologies, a prominent mobile app development company which provides Android and iPhone app development services across the globe. She loves to write about the latest mobile trends, mobile technologies, startups and enterprises.